Two people walk into a museum room and comment on the tile on the wall. As Westerners, we like things balanced and symmetrical. 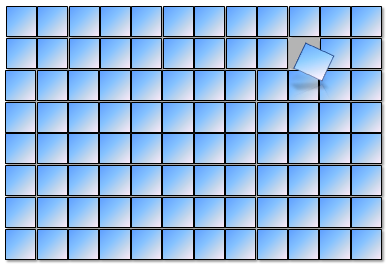 A single tile “out of place” catches our eye as something wrong. The Easterner is not “bothered” by the misplaced tile. There are many rules in Western Music that seem ridged to students – and 100’s of years ago, those rules were indeed ridged. However, rules are meant to be broken (or expanded) and as long as it “sounds good” there will be a new rule to follow justifying the new “good sound”. BLAKE was a Microsoft MVP and award winning programmer with over 20+ years experience providing complete Windows and networking support for small to medium sized businesses. BLAKE is also Jazz Musician and Instructor for residential clients on the Los Angeles West Side. This entry was posted in Definition, Training / Education. Bookmark the permalink.